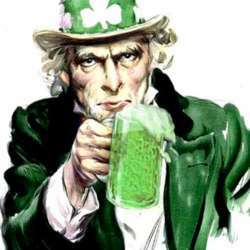 Lausanne InterNations team is glad to invite you to our Saint Patrick's party in Lausanne at King Size Pub in Flon. It will be the occasion to discover an authentic Irish Pub and meet new people having a drink with your friends. The dress code is ☘️GREEN☘️, bring your Irish hat! The live band ☘️Selfish Murphy☘️ will be here to make you dance. Their songs transmit the unique feeling of celtic and irish lifestyle and the atmosphere of an irish pub! As usual, our host will welcome us with a ☘️drink and tasty finger-food☘️. Of course, a large selection of beers will be offered! Please only click "Accept Invitation" only if you are sure to come. Your friends are very welcome – just ask them to become an InterNations member first. The InterNations Lausanne Ambassadors are looking forward to seeing you there.